Designed for long-range competition shooting and Precision Rifle Series matches, the Sightmark Latitude 6.25-25x56 PRS Riflescope takes skilled shooters the full distance with extreme accuracy. 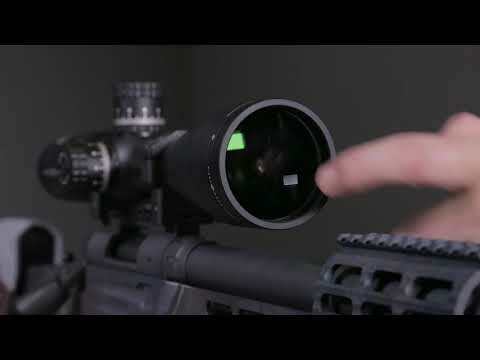 We listened to everything competition shooters wanted out of an optic and built the Latitude with oversized turrets for quick and easy adjustments, a zero stop elevation dial and an etched, first focal plane reticle with red/green illumination for true dimensions at any magnification. The Latitude’s locking, fast focus eyepiece keeps the focus set so shooters can focus their attention on Making Their Mark. The rugged Latitude 6.25-25x56 is IP67 waterproof, able to withstand up to .50 BMG recoil and built with a single-piece 34mm tube with a distance-friendly adjustment range of 31mil. The fully multi-coated Latitude includes a sunshade, CR2032 battery and instruction manual.